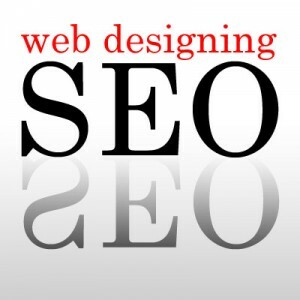 One of most challenging aspects of building a site for the search engines is implementing proper SEO website design. On one hand, the goal is to create a website that wows visitors and is engaging. On the other hand, you want to make sure the site is properly optimized. Design-heavy sites don’t always leave much room for on-page optimization, so it’s necessary to find the right balance. Make sure the navigation links can be followed by the search engines. Keep the layout simple and clean but packed with design. Trying to accomplish too much can work for the search engine spiders but will ultimately discourage visitors from browsing your site. One of the biggest issues designers face is using plain text (such as the h1 tag) when graphical text is far more attractive. The solution is to use CSS to manipulate how plain text looks so the search engines will be able to pick up the content. It will never look good as graphical text, but it will be a huge improvement over plain text. If the site is image-heavy and needs text, using mouse-overs will be the perfect solution. If this is set up correctly, it can turn an image-heavy site into one that is full of content. To the visitor’s eye, an image will mouse-over to written text. To the search engine spiders, the text will be crawlable and seen as real content. There are many fonts that look like graphical text but are actually regular text. This means that the search engines will be able to read the text. Try experimenting with different fonts and consider buying font packs. This will allow you to avoid using images and keep your design simple. More people are using mobile devices to browse the Internet. That’s why it’s important to build a site meant to be viewed in mobile format and optimize it for search engines. In addition to creating this site, it is necessary to test how it appears on different devices and platforms so it is formatted correctly. Too much design can slow down the loading time of a site. When that happens, it’s time to go back to the drawing board and figure out how to reduce downloads. Many things can affect loading time from font downloads to plugins for SEO to high-resolution images to scripts. Creating a well-designed site can give you a lot of pride. However, the one thing that matters most is conversion. Try out different designs and see which result in more action whether it is e-mail sign-ups, social media shares, or sales. After all, your sales numbers are what matter the most. Finding the balance between optimization and great design isn’t always easy, but these solid tips will help you to win with SEO website design. There will be many times where it will be necessary to go back and forth until all the technical problems are solved and the overall design is engaging. This entry was posted on Thursday, February 28th, 2013 at 11:04 am and is filed under SEO News, SEO Services, Website Design. You can follow any responses to this entry through the RSS 2.0 feed. You can leave a response, or trackback from your own site.